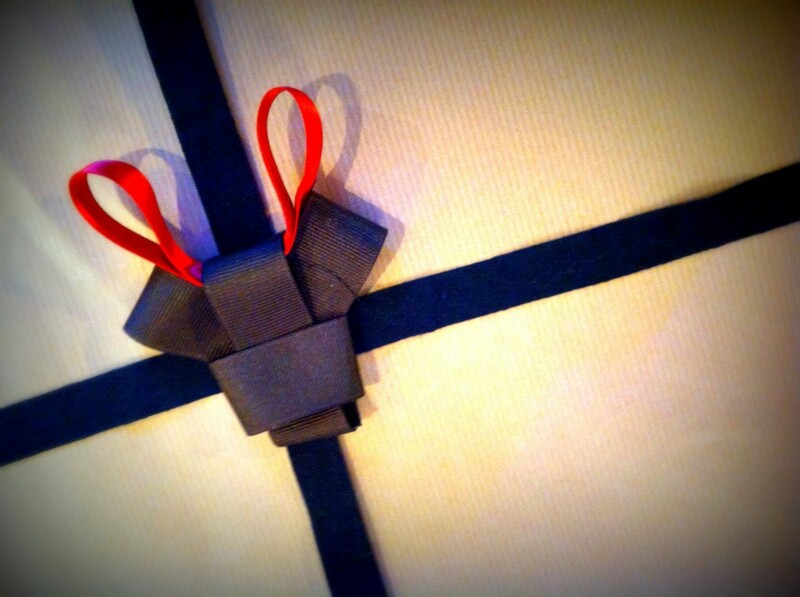 I utterly heart the work of Ribbonesia, these guys make the most awesome ribbon creations. Now, I take wrapping gifts very seriously and having already decided on this year’s Christmas theme (Swedish Dala horse print fyi) I couldn’t wait until next year to share this discovery with you. I especially love the ‘frosty night fox’ and the ‘patient dog’ (see below) but thought I’d try my hand at the Reindeer and boy was it way harder than I thought it would be. My squiffy, slightly wonky attempt is clearly no match for the works of Baku Maeda and his team but it was still good crafty fun giving it a go.